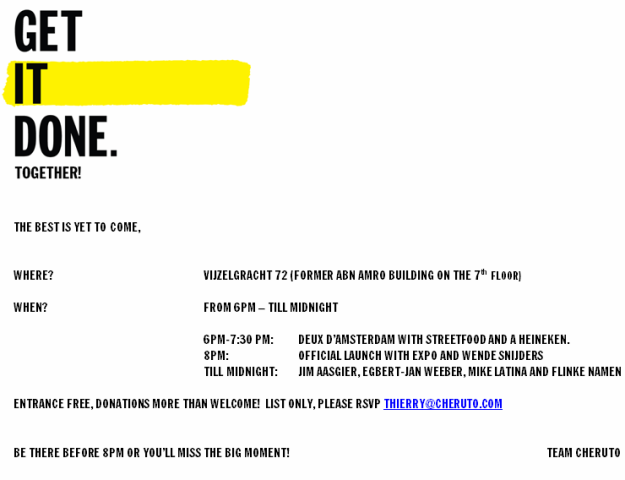 For those of you interested in GET IT DONE, a brand new initiative of the Cheruto people, please make your reservation for the launch party in Amsterdam on Thursday 17th right away! The Small World Foundation features with one of the first projects in this initiative under the title: GET WATER&TRANSPORT DONE. For course we are talking about water and transport for San Martin de Amacayacu.. Check out the (temporary) website for a quick peak!! DARRELL POSEY GRANT FOR SAN MARTIN DE AMACAYACU!